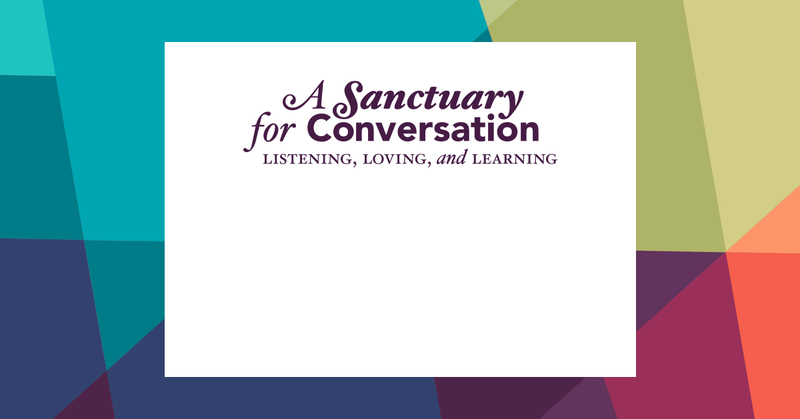 Are you interested in hosting A Sanctuary for Conversation in your church? Email OpenDialogueResources@gmail.com to purchase leader’s guides and participants’ workbooks. Watch this video to learn how to lead A Sanctuary for Conversation. Use these bulletin inserts and posters to advertise the workshop. Download here. Use this graphic when sharing your event on Facebook. An online image editing site like Picfont will allow you to add your own text. Download here. “The Adventist Church is to educate its members about sexuality and purity within the context of grace” (North American Division Statement on Human Sexuality, November 2, 2015). “LGBT+ youth are four times more likely to attempt suicide than their straight peers” (The Trevor Project). “How wonderful it is that nobody need wait a single moment before starting to change the world” (Anne Frank). “God expects all of His followers, LGBT+ and heterosexuals alike, to ‘grow in the grace and knowledge of our Lord and Savior Jesus Christ’” (2 Peter 3:18). “I have grown because of the time I spent listening to the presentations, discussions, and panel. As a result of this workshop, I have taken away an understanding of how to become a better minister to all” (participant). You are invited to join [church] for “A Sanctuary for Conversation: Listening, Loving, and Learning” on [date and time]. This workshop promotes open dialogue with LGBT+ Adventists and provides a model for listening deeply and speaking thoughtfully in local churches. It honors the Adventist Church’s current position while showing how we can engage in conversations that lead to clarity, hope, and healing. The facilitator will be [name and credentials]. Childcare and refreshments will be provided. RSVP at [link]. [Church] is hosting a great workshop, “A Sanctuary for Conversation,” that promotes open dialogue with LGBT+ Adventists and provides a model for listening deeply and speaking thoughtfully in local churches. This workshop honors the Adventist Church’s current position while showing how we can engage in conversations that lead to clarity, hope, and healing. The facilitator will be [name and credentials]. Refreshments and childcare will be provided. RSVP at [link]. Print these name tags on 2.25″× 3.5″ Avery labels and hand them out at your event. Download here. This document is offered as a guide to facilitate open dialogue about gender and sexual identity. Download here.